By federal law, non-profit organ procurement organizations (OPOs) are the only organizations that can perform the life-saving mission of recovering organs from deceased donors for transplantation. 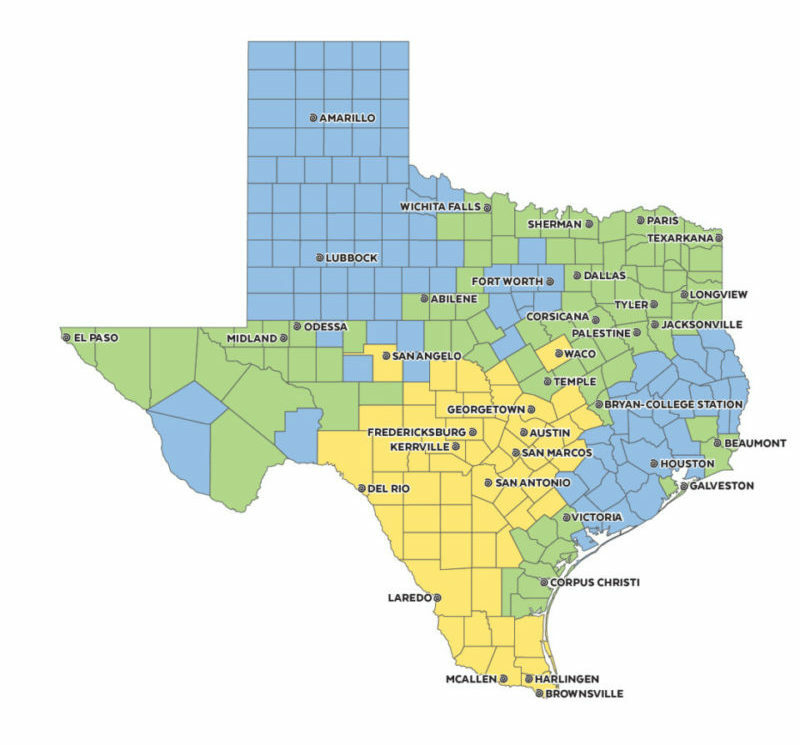 Because Texas is so large, the state is served by three OPOs: LifeGift, Southwest Transplant Alliance and Texas Organ Sharing Alliance. The staff of these organizations are the caring and compassionate people who give hope to those facing devastating loss through the option of donation. They work in hospitals to guide grieving families through the organ donation process and provide the clinical services needed to recover, prepare and transport organs to those awaiting a life-saving transplant. All three OPOs are founding members of the Donate Life Texas organ, eye and tissue donor registry. Founded in 1987, LifeGift is a nonprofit organization that offers hope to individuals needing organ, eye and tissue transplants in 109 Texas counties in the Houston area, North Texas and West Texas. For over 40 years, Southwest Transplant Alliance (STA) has been saving lives by recovering donated organs for those waiting on transplants. Founded in 1974, STA is among the largest of 58 federally designated, nonprofit organ procurement organizations in the U.S..
Texas Organ Sharing Alliance is one of 58 federally designated Organ Procurement Organizations (OPO) in the United States. Founded in 1975 as a not-for-profit corporation, TOSA covers 56 counties in Central and South Texas. TOSA is committed to providing organ donation and recovery services to families wishing to donate, and to those waiting for a life-saving organ transplant. OPOs regulated under the Organ Procurement and Transplantation Network (OPTN) of the U.S. Department of Health and Human Services’ Health Resources and Services Administration. OPOs are certified and accredited through the Centers for Medicare and Medicaid Services (CMS), the United Network for Organ Sharing (UNOS) and the Association for Organ Procurement Organizations (AOPO) which require regular inspections of operations and management.